Where: 41 East 11th St, 4th floor. 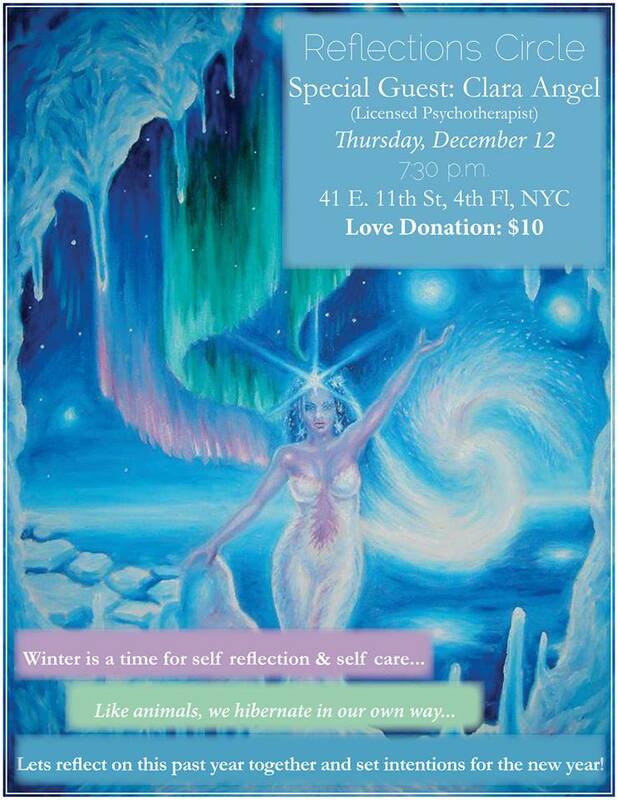 Love donation: $10 – towards covering our special guest, Clara Angel, licensed Psychotherapist. Clara Angel is a Licensed Psychotherapist who specialized in body-mind psychotherapy, mindfulness, yoga therapy, and creativity/imagination – all of which offer the potential for a healing and transformative experience. Join us for our last venting session circle of the year before our big Birthday Bash! Winter is often a time of self reflection and self care, just as our fellow animals hibernate for the season, we experience the same in our own way. Let’s reflect on the year and the season together and set intentions for the upcoming New Year.